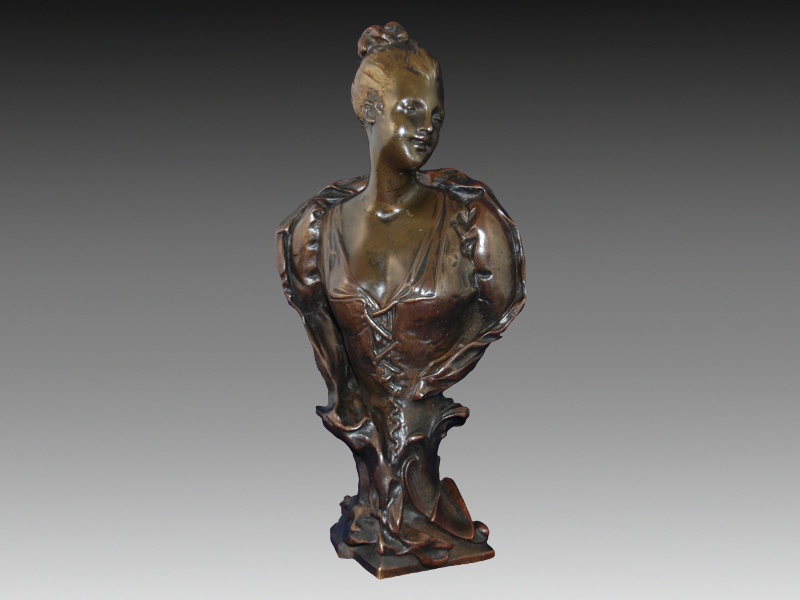 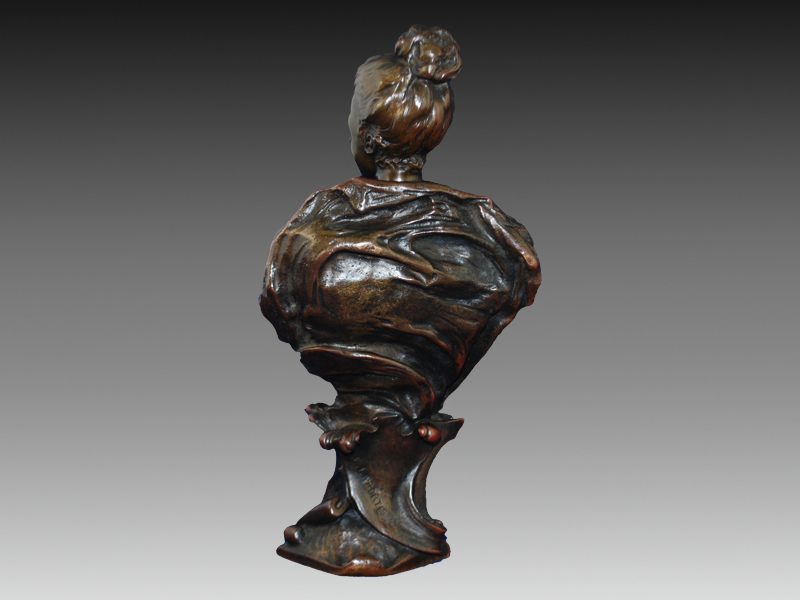 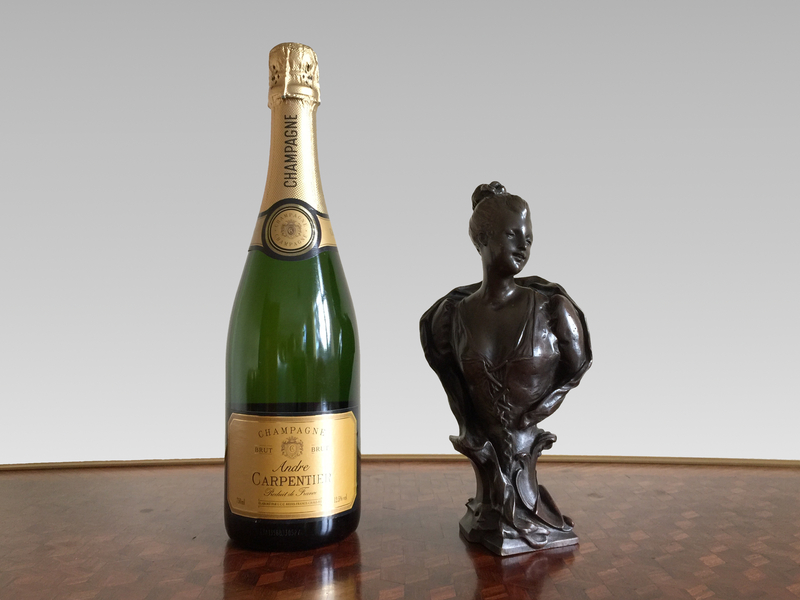 A late 19th century, French, bronze bust of a young woman emblematic of the arts. 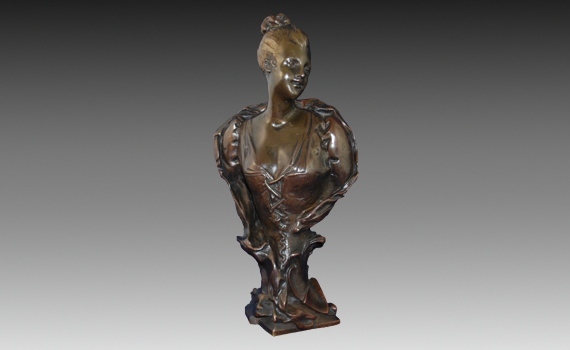 Her head turned to sinister, her hair up and wearing a bodice, a shawl billowing around her shoulders, standing on a waisted socle. A mask and music score to the base. 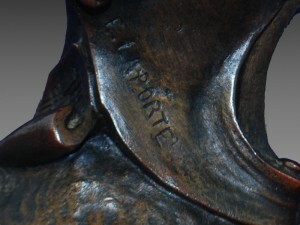 Signed to the reverse E. Laporte 459. Original brown patination. Born in Paris Laporte studied under Dumont and made his debut at the Salon in 1881 and exhibited there regularly until 1906. 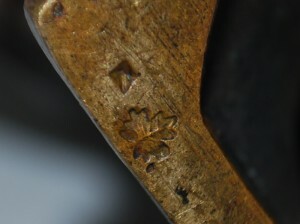 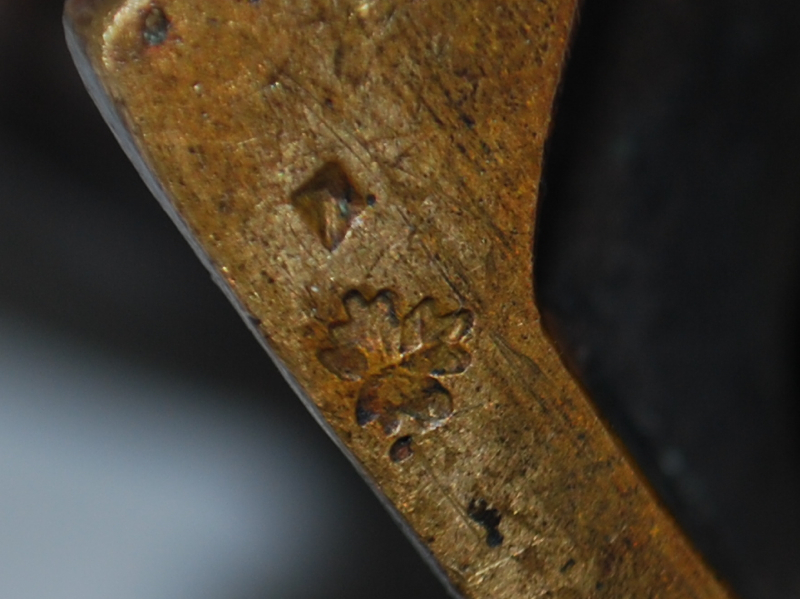 The underside stamped with a maple leaf.